Backstory publisher Jeff Goldsmith interviews screenwriters and filmmakers alike about their creative process! Use the player below to listen or download episodes by subscribing for free to The Q&A With Jeff Goldsmith in iTunes. Most episodes are recorded from the popular screening series. If you would like to attend a screening, sign up through the screening series page. 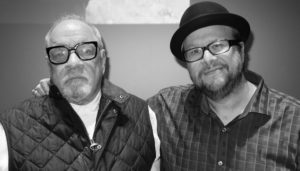 Current Episode: First ReformedHost Jeff Goldsmith interviews writer-director Paul Schrader about his latest film. Select the menu button in the podcast player below and then select “episodes” to pick which one you’d like to hear!